Through researching online with the San Bernardino Historical Society I located Pioneer Memorial Cemetery which is where my great-grand parents are buried. I had no idea of the cemetery where they were buried, but I found out through my research and have pics of the headstones as well. It is such a great find. These two are husband and wife and left behind four living children, Wardeen, Roscoe, Irene, and their baby girl, Vivian. 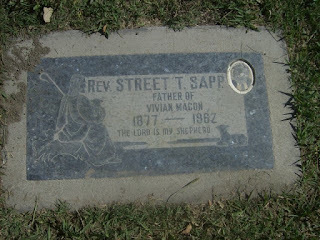 If you notice there is like a cameo photo in the top right corner of the headstone, that is actually a photo of Street Turner. It was damaged by the city with a lawnmower so I was told, and their baby girl Vivian Macon fought the city to get them to repair this damage. She didn't win that fight. There are a list of other Sapps that I are not known to me, but I am going to continue to research until I find out their connection. 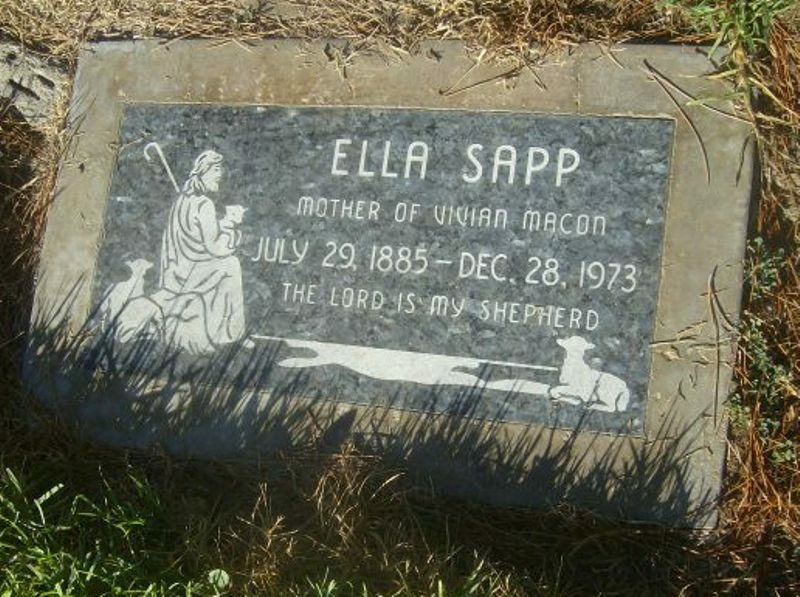 There was always the questiion as to why Aunt Vivian put on both grave markers that she was the mother of and the father of Vivian Macon, when all of their children were still alive. I can only assume that she was the one that paid for the markers, therefore she put on them what she wanted to.